Guest post by my friend, Janice Espa, on a tofu class she took recently. After years in the film industry, traveling the world, and becoming more and more passionate about food, Sonoko Sakai decided to follow her culinary path, learn traditional Japanese techniques, and start teaching. 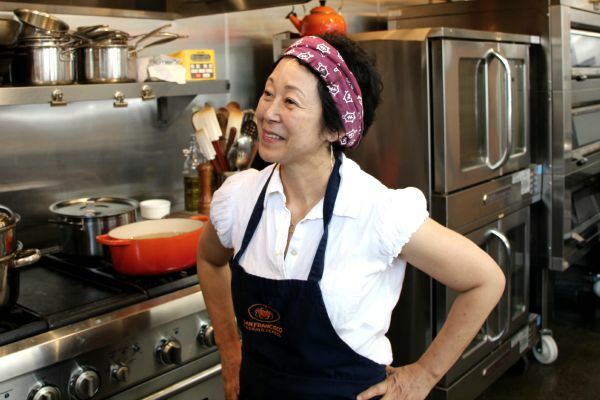 She established the Common Grains initiative to teach people about the cultural roots of Japanese cuisine. 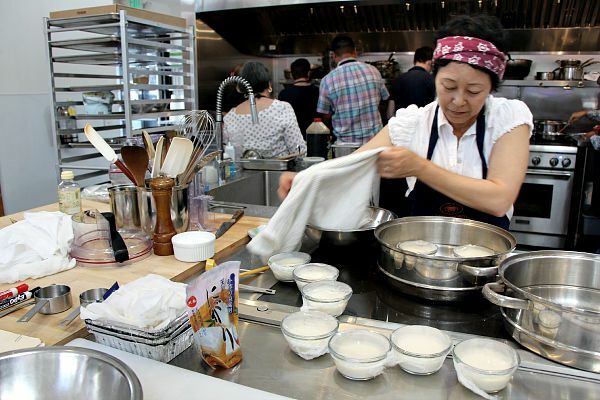 Today, Sonoko runs workshops all around the US – yet her Los Angeles base is where she’s found most of the time teaching lessons on onigiri, soba, umeboshi pickling, cooking with rice in all of its forms, cooking with shio koji, and tofu-making. I had the opportunity to catch one of Sonoko’s master classes while she was up in San Francisco for a series of events. My appreciation for tofu has been incremental. It was always present as a ‘bonus’ item: from soups in Chifa (Chinese-Peruvian cuisine) to many South East Asian stir fries and noodle dishes, but it wasn’t until I visited Kyoto that I became aware of tofu as the star, and not a side dish. Since then, I’ve become picky about the flavor I find in particular commercial tofu brands. 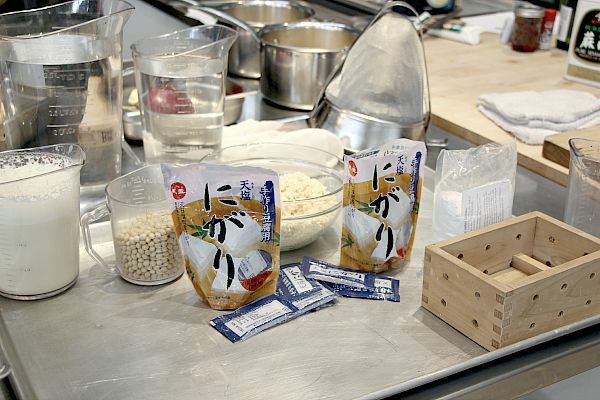 Thus, upon coming across Sonoko’s workshop, I was eager to learn hands-on, and understand the tips and tricks behind sweet, smooth, homemade tofu. In depth, however, the process is specific, measured, and rewarding. Tofu starts with good soybeans – which Sonoko recommended purchasing online from a non-GMO organic seller. They must be soaked in water for at least eight hours, then blended until creamy, a soybean slurry. This slurry is simmered with additional water, and cooked for about ten minutes. With a colander, the by-products are separated, the okara is reserved for later use, and the milk is transferred back to another pot. Coagulant, previously diluted in water, is added to the hot soy milk and slowly, but surely, curds begin to form. By paying close attention, choosing the right type and amount of coagulant, and stirring the soy milk closely, tofu is made. During the workshop, some groups chose to use nigari (magnesium chloride), others gypsum (calcium sulfate). It was great to be able to compare both results and taste the differences. 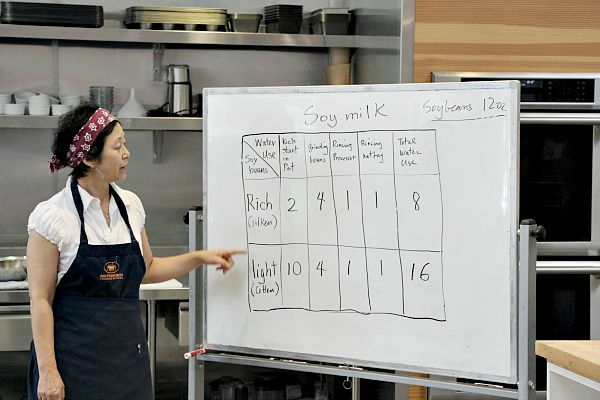 We also learned that fresh soy milk, comparable to light cow’s milk, is best for firm tofu, while thicker, rested soy milk, equivalent to whole milk, yields better results for silken tofu. I preferred the nigari, hands down. It is in fact sweeter. Now, when I’m at the supermarket browsing through brands of organic tofu, I pay closer attention to the label. Earlier that morning, we had prepared the boxes for the tofu by lining small aluminum trays with holes punched through them, two pieces of cotton cloth lined on top. Traditional wooden Japanese zaru boxes have holes in them, plastic ones are also available, or a colander may also be used. The do-it-yourself (DIY) version is simple to make if you don’t have the necessary tools or can’t access a tofu making kit. For silken tofu, the coagulant is mixed directly into thick soy milk. It is placed into a small container and steamed in a pot with boiling water, just like making chawanmushi, a savory Japanese egg custard. From beginning to end Sonoko made sure we not only understood what was happening to the soon-to-be tofu, but also that the residue resulting from different steps of the process be put to good use. From the whey, we made a most flavorful miso soup. 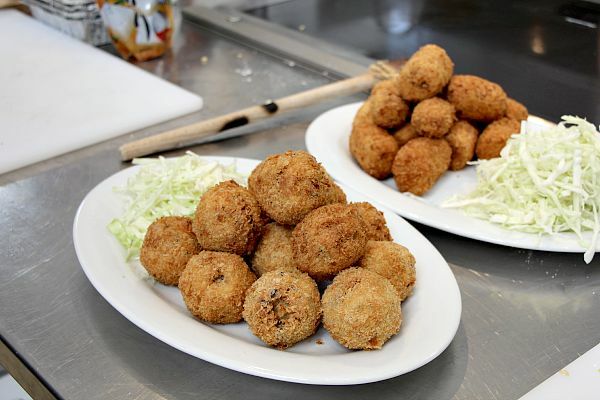 From the lees (okara), we made croquettes. From the chilled soy milk, silken tofu topped with sweetened ginger syrup. With the momen or pressed tofu, we served hiyayakko: cold tofu with soy sauce, freshly ground ginger, and scallions. We also made shirae-ae (a tofu and sesame paste) to coat green beans and cherry tomatoes, and serve as a salad. The rules that apply to great tofu are the same as everything else in healthy, seasonal Japanese cuisine: organic and well-sourced grains followed by personal preference on which coagulant to use. A fun, eye-opening experience, delicious in every step of the way. I’m ready to start sourcing my utensils to tackle some tofu making at home, and will be raving about the sweetness of the simplest miso soup elevated by the whey of soybeans. 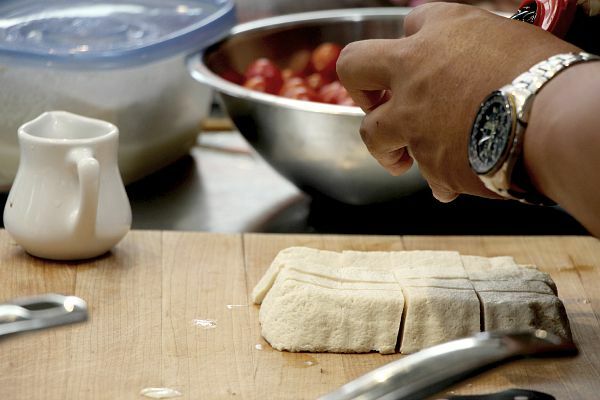 The $160 tofu class was held at the San Francisco Cooking School. For more on the tofu-making workshop and a recipe request, feel free to contact Janice. 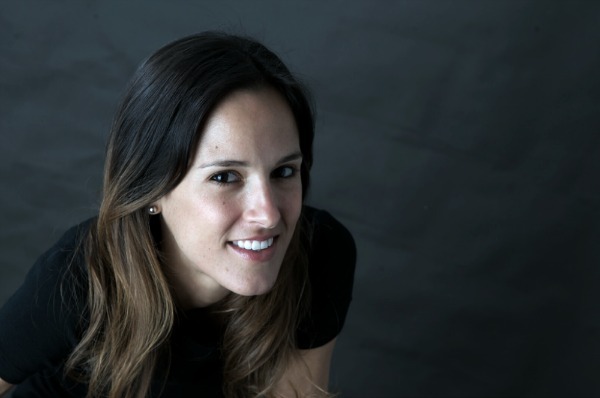 Janice Espa is a Spanish-Peruvian food enthusiast; an avid traveller and inquisitive taster who explores culture through cuisine. Janice lives in San Francisco where she writes and styles food. Her days are spent visiting grower’s markets, checking out restaurants, and shopping at specialty stores to discover goods from every corner of the world.